Carol Weaving, Managing Director of Thebe Reed Exhibitions and IBTM Africa Project Manager, Shinu Pillai, from Reed Travel Exhibitions, addressed a large crowd on Monday evening about the merits of being involved in Africa’s inaugural IBTM (Incentives Business and Travel Meetings). They explained that IBTM Africa, part of Africa Travel Week, is a by invitation only table top event where exhibitors will meet with pre-qualified Hosted Buyers through a pre-scheduled appointment system during three days of business, education and networking. “Exhibitors are guaranteed productive meetings with people who really matter to your business.” confirmed Pillai. The impressive array of guests included many companies who are excited about having signed up to take part in the inaugural IBTM Africa, and some who were, until tonight looking for more information before signing up. Pillai advised that there are still a limited number of places available and that they are expected to be snapped up very quickly. Thebe Reed Exhibitions generously donated a prize for 4 to enjoy the Disney on Ice spectacular that will be held at the Coca Cola Dome in July. The lucky winner of this prize was Moses Magiri, Market Manager for DMC Private Safaris. 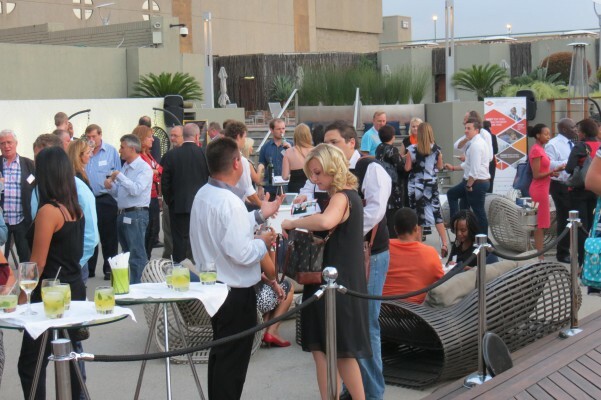 The inaugural IBTM Africa will be held at the Cape Town International Convention Centre 28-30 April 2014. 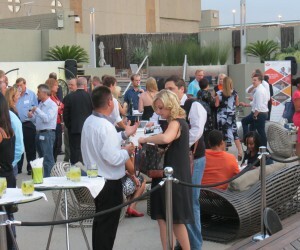 For further information, please see www.ibtmevents.com/ibtmafrica. For further Africa Travel Week information, please see www.africatravelweek.com.